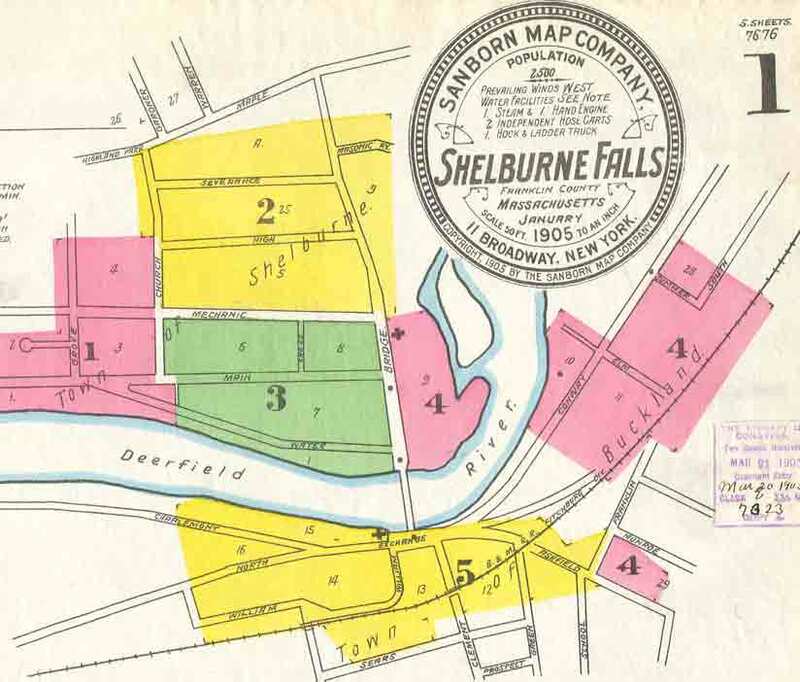 Remarkable detailed maps of Shelburne Falls were made in the late 1800s - early 1900s for the purposes of fire insurance. The maps show details of building construction in the built-up areas of the village - with special attention to industrial sites. The original maps are rarely seen today, as they were not mass-produced and few copies survive. The first page of each set has an index. Here is the 1905 index to the 5 sheets of that year. 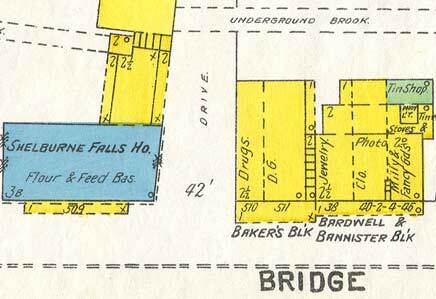 To the right is a detail of the Shelburne side of Bridge Street in 1905. Five sets of maps were made in the period 1885-1919. Each set consists of 3 or more maps. We are pleased to make color copies of these "Sanborn" maps available in a convenient form for the first time since their publication a century ago. The links below will lead you to some low-resolution copies.